Today marked the end of the Palmyra Producer-Only Farmer's Market for 2012. Our vendors want to thank you for your support throughout the year! Despite the extremely hot weather during the Summer, this year the market had some of the highest visitor counts since we started in 2002! We're so grateful that you come visit every Saturday to share in the fruits of our labor. Now for more exciting news: The market will be relocating for 2013. Because of the construction occurring at the municipal building, we are moving the market around the corner to the parking lot of the former Redner's Warehouse, 220 Campbelltown Road, Palmyra. This spot is about 1,000 feet from where the market is currently located. Our first day will be Saturday, May 18, 2013, and we will continue to be there Saturdays, rain or shine, through October 27, 2013. 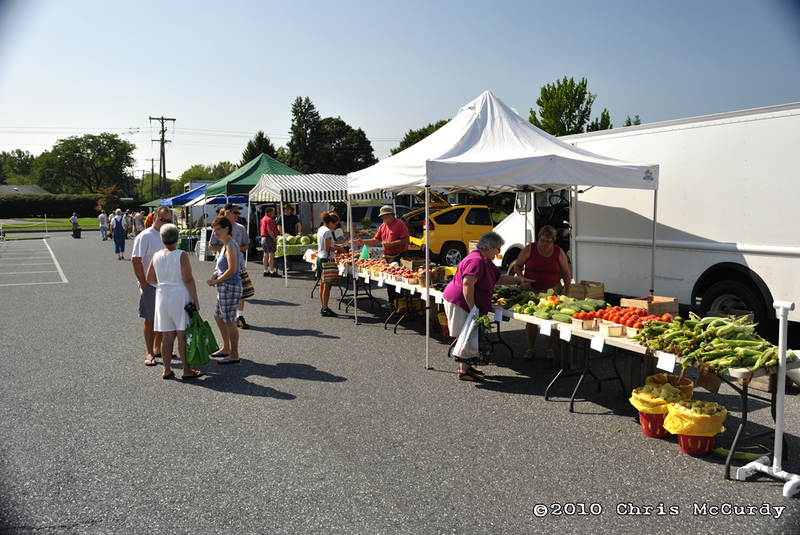 You can expect to see all the same friendly vendors you've come to know when we open for the 2013 season. The map below will show you directions to the market from our previous location.